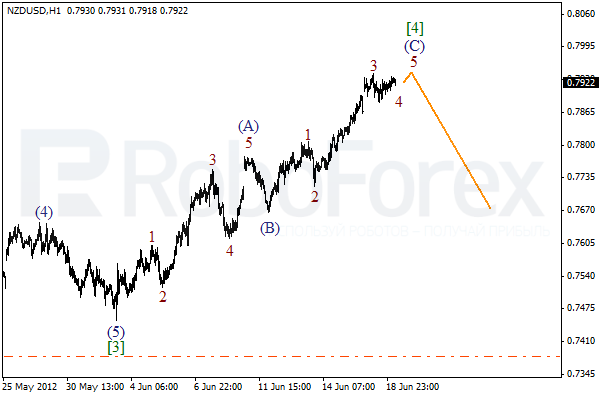 It looks like the price is completing zigzag pattern in wave . 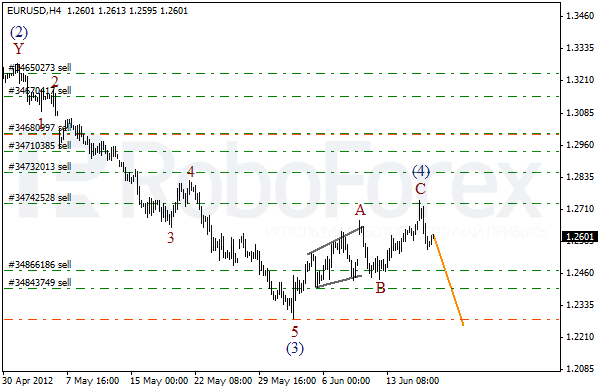 In the near term, we can expect the pair to finish wave (C) and start impulse (1). However, it’s quite risky to open sell orders until the price forms an initial descending wave. If we take a look at more detailed wave structure, which is shown on the H1 chart, we can see that the price is starting the fifth wave inside wave (C). It’s quite clear that the ascending movement is becoming weaker. There is a possibility that price may make a reverse and start moving downwards in the nearest future. 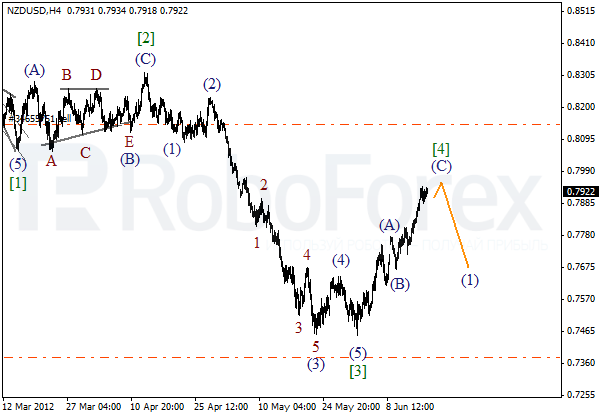 We may assume that Euro has finished zigzag pattern in wave (4).On the minor wave level the price is forming an initial bearish impulse. In the near term, we can expect the pair to break the local minimum. More detailed wave structure is shown on the H1 chart. The price is forming a descending impulse in wave 1. The current chart structure indicates that the price will probably continue moving downwards. 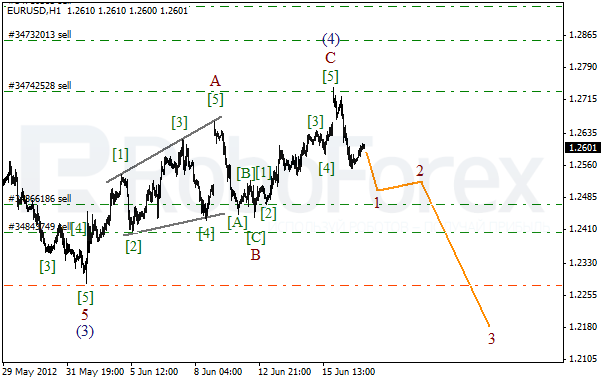 The target is still the level of 1.2000.